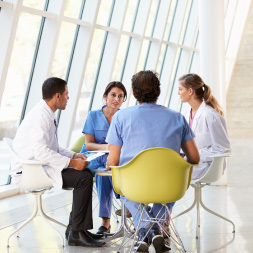 Learn more about the principles and prevention of managing health and safety in healthcare. This aims to provide healthcare line managers and department heads with an introduction to managing occupational health and safety. The full course consists of six modules and is suitable for all healthcare settings. This module, Module 1, introduces you to the principle health and safety legislation in Ireland and the concept of risk assessment and management in a healthcare setting. It guides you through the steps in the risk assessment process including how to identify hazards at work, assess the risk and identify control measures. It can be studied as a stand alone module or as part of the full course. Topic 3: General Principles of Prevention. Please note that the module is intended as an overview and may need to be supplemented by more specific training and / or specialised advice. apply the General Principles of Prevention in your workplace.